Trivia series 2 ended last night. 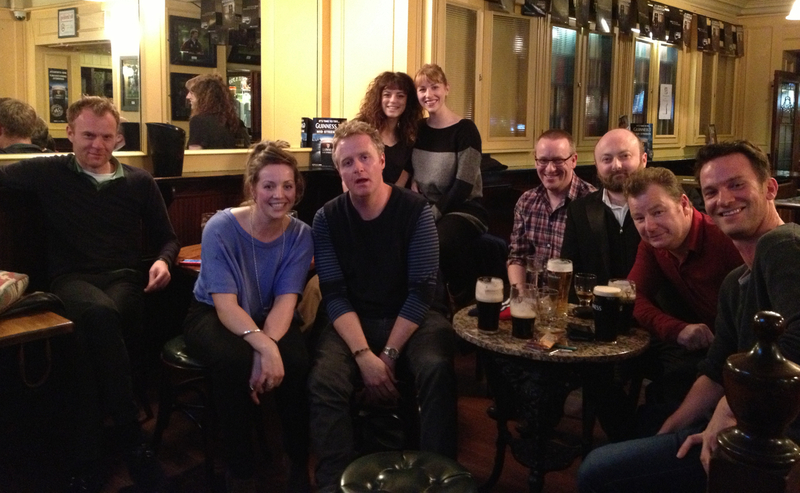 Some of the cast and crew watched it in a public house. Hugs were hugged and drinks were drinked. Hope we get to do it all again (the series, not the going to the pub, although that would be nice too). Thanks for watching. Damien, I just hoped and prayed Lawrence and Molly would get back. Oh dear. Not for now. Thank you for penning such a wonderful series. Every Thursday night became special. An escape into a world that is more meaningful than some of the world we have to put up with in the news. The acting was superlative. God bless and bring on Trivia 3. Thank you, John, that’s lovely to hear. And who knows, maybe they’ll be back. I certainly hope so.